Who here remembers the old Wonder Boy games? (I may very well be the only one raising my hand on the CGR team, which would be a shame, but I digress...). Well, if you are like me and had your hand up? You will probably consider this very good news. 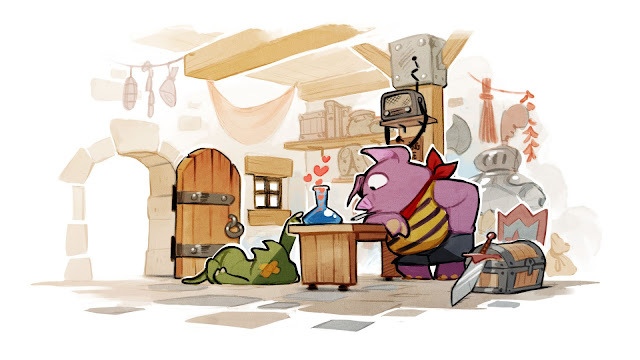 DotEmu, developer and publisher specializing in modern releases of beloved retro games, and Lizardcube, Parisian game developer, are thrilled to announce that an updated version of Wonder Boy: The Dragon’s Trap is currently in development. Thanks to the close collaboration of these two French studios and Ryuichi Nishizawa, creator of the Wonder Boy series, this classic will soon return to consoles and PC. A Sega Master System and PC Engine legend, Wonder Boy: The Dragon's Trap (also known as Wonder Boy III) is a platformer that combines exploration, action, and adventure. The new version will remain true to the original episode while adding graphical improvements, enhanced sound, and brand-new features. Stay tuned, there’s lots more info to come!